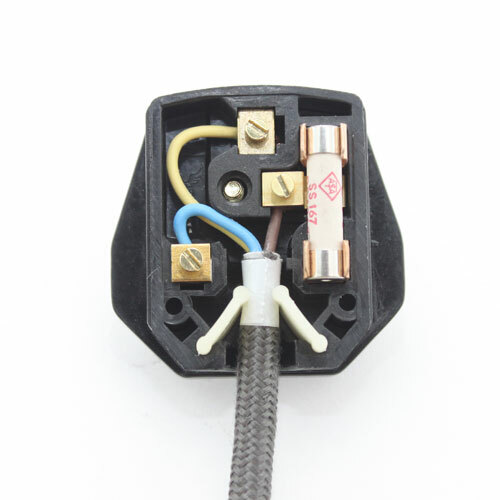 There are a few important things to remember when wiring a plug top. The most important of course is putting the correct wire in the right terminal. This information will be on the card attached to the plug and will also be on the plug itself. The fuse will always have the Brown (live) wire. The next most important thing is to make sure the flex can’t be pulled out under normal conditions so making sure the flex is help correctly in the cord grip. 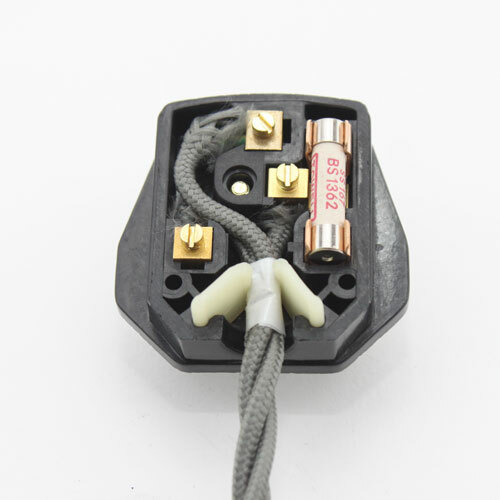 Also make sure the wires are neat and tidy, you don’t want exposed wires inside the plug. Make sure the terminals are tight. Make sure you use the right fuse. 3A (Red) for lighting projects. 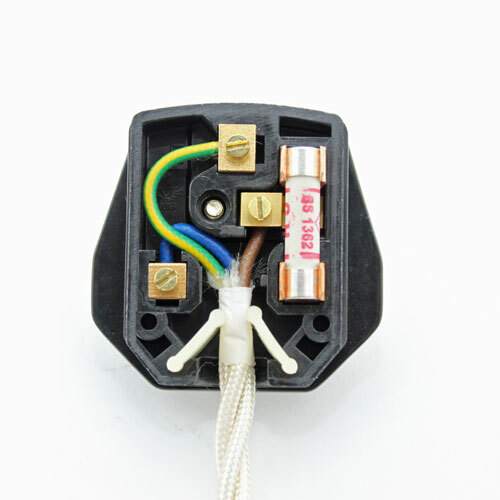 Below we have shown a few different wiring methods using different types of flex. The braided flex can be one of the hardest to use. Make sure with the braided flex you take the point where it fits into the cord grip as this will ensure it holds and will also stop the braid from fraying. You will see here that we have not stripped back the braided cover.